Any advice or guide on the interior design of a bathroom should be based around one simple concept: keep it simple. 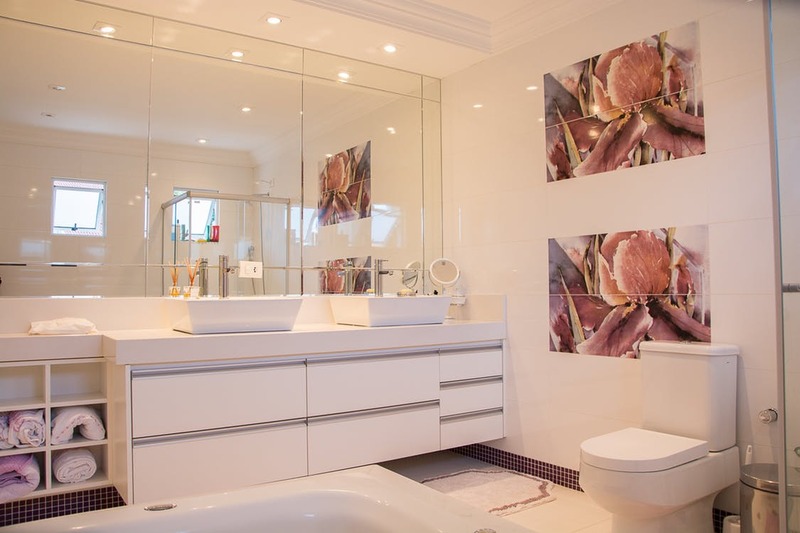 Rooms inside of a home should have functional aspects, and if one room is designed for very specific functions, it is the bathroom. There have always been many jokes about the "throne" of a home, but the honest fact is that creating a visibly appealing and comfortable bathroom will inspire positive feelings to its users. Hardware choices should be the primary concern when designing a bathroom. Faucets and spigots, as well as tubs and toilets, produced in a variety of shapes and materials can centerpiece a design. Open showers are currently popular with the younger upwardly- mobile crowd and claw-foot bathtubs are almost always considered to be classic and attractive. Evaluate privacy issues first; don't put the toilet and tub too close together. Is it a possibility to center your bathroom on a favorite theme? The answer is most certainly "yes." Keeping in mind that "less is more" while choosing a decoration pattern that will coordinate with the rest of the home will open many design possibilities. Finding a color or pattern inspiration from simple or small artwork may be the first step toward creating a bathroom masterpiece. When designing a bathroom's tiling, take the time to shop around through different hardware, decoration and craft stores. The more expensive of the different types of tiles should have durability, aesthetic value, and a non-porous surface. It should be easily cleaned and sanitized, and it needs to install easily without any expensive or caustic glues or cements. Get creative also; all tiles in bathrooms need not be made of porcelain.